Empowering STEM Education by taking students to the next level of learning. Robotics will help inspire the next generation of computer scientists, engineers and inventors. Computer science drives innovation and is one of the fastest growing fields in our economy. Not only are computer science jobs growing (at twice the national average! ), they’re also some of the highest paying jobs in the world. However, programming is an important skill regardless of career choice. When students learn to program, they also learn important problem-solving, creative thinking, and computational thinking skills. The better question is, "Why not?" Robots provide a hands-on activity that directly involves students in the learning process and allows them to take ownership of their STEM learning. 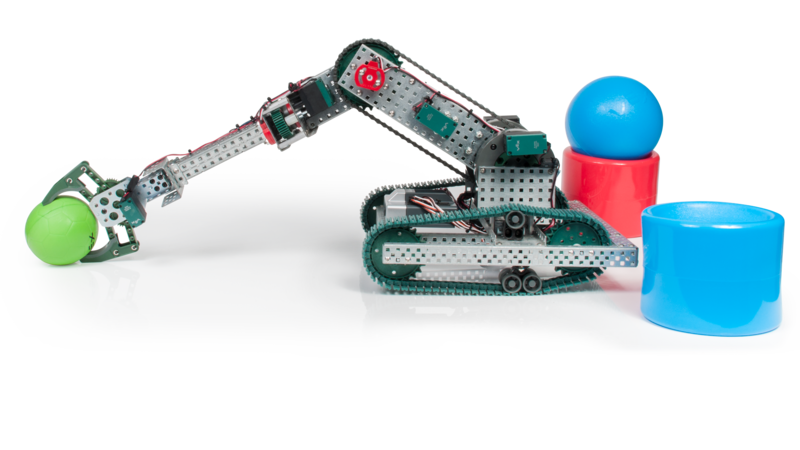 Robots bring code to life and allow students to see how what they’re learning has a direct impact in the real world, and how individual math and engineering elements come together to form a solution to a real problem.